It is my pleasure to announce that Prof Hirohisa Yaguchi and Mr Roy Osborne have been selected as the recipients of, respectively, the AIC Judd Award 2019 and the AIC CADE Award 2019. The AIC Deane B. Judd Award is to recognise work of international importance in the fields of colour perception, colour measurement, and/or colour technology. The AIC Award for Colour in Art, Design and Environment (CADE) is established to recognise those who excel in the areas of design, art, architecture and humanities. Both awards are given every two years. The selection of the awards is an arduous procedure that includes nominations by AIC regular members and analysis of antecedents of the nominees by a panel composed of past presidents and previous recipients of the award. I would like to take this opportunity to express my gratitude to all the nominators who put forward very strong nominations and to the two Award Selection Panels for their input and kind cooperation. Hirohisa Yaguchi is Professor Emeritus at Chiba University. He got his PhD at Tokyo Institute of Technology in 1980. In 1982, he moved to National Research Council Canada. He moved to Chiba University in 1982, and retired from Professor in 2016. He was the Steering Committee Chair of the midterm meeting of AIC2015 Tokyo. Also, he served as an Executive Committee Member of AIC from 2002 to 2005. 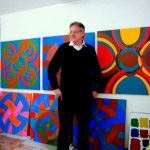 Roy Osborne has sustained a deep interest in colour since studying art in 1966-70. He has contributed to some 20 books on colour, starting with 'Lights and Pigments' (1980). For 30 years he taught studio art, as well as presenting over 2,000 lectures at over 200 institutions worldwide. In 2003 he was awarded the Turner Medal of the Colour Group (Great Britain). Prof Tien-Rein Lee, AIC President, will formally present the awards to Prof Yaguchi and Mr Osborne at the award ceremony to be held at AIC2019 in Buenos Aires, Argentina on 17 October 2019. I hope you will make plans to attend AIC 2019 and join me to extend your personal congratulations to Hiro and Roy. It is my pleasure to announce that Prof Hirohisa Yaguchi and Mr Roy Osborne have been selected as the recipients of, respectively, the AIC Judd Award 2019 and the AIC CADE Award 2019. The AIC Deane B. Judd Award is to recognise work of international importance in the fields of colour perception, colour measurement, and/or colour technology. Join us for a day of colour and paint! Venue: Technical Museum "Nikola Tesla"
Natacha Le Duff at the Museum of Colours in Berlin has started a global campaign to encourage more colourful dressing on 21st March 2019 called #noblackclothesday. Guided tour with private tutor, art historian, lecturer, artist Gayna Pelham. Invited Lecture on "Color Trend"
On the International Colour Day, Dr. Alexandra Loske, will present her new book "Color. A visual History of Color from Newton to Modern Color Matching Guides" in her talk "Pigments of the Imagination". Award Color 2018, "The Blue Color", Linus Fridén (Konstfack) presents his winning contribution "Blue". The collection has just begun the move to its new home. Located near the faculty of architecture, the 120 m2 space will house one of the largest collections on color theory in Europe. In addition to displaying the history of color science in relation to education and design practice, the collection will be the nucleus for a competence center for the triad of space, color, light. Originally founded by Eckart Bendin in 2005 as an instrument for teaching and research, the collection is part of the larger network of over forty collections and museums within the university. Professor Ralf Weber has now assumed the role of director. Together with Thomas Kanthak he will develop and administer the research collection throughout the next decade. The collection aims to serve as an active instrument of scientific communication and a multidisciplinary link to a number of historical as well as scientific collections within the multifaceted area of color and light. The collection will also be at the center of education in the disciplines of architecture, landscape architecture, vocational education and design. Furthermore, next to collecting and pre- serving the heritage of color science, the New Color Research Collection will func- tion as a nucleus for the coordination of interdisciplinary research projects on color and space perception within the university. The understanding that spatial perception is based on the reflection of light on space-forming surfaces und hence on the sensation of color in the human eye, will govern research within the triad of space, color, light. 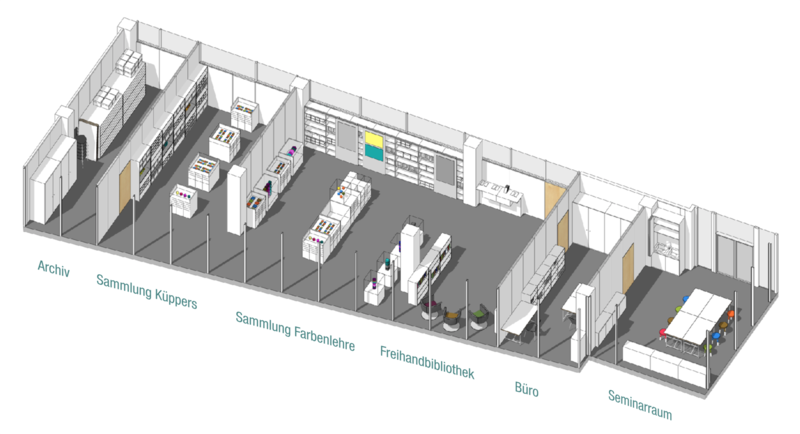 The Competence Center will also continue to organize the annual conference series - the Dresden Farbenforum. After a long, full and fulfilling life, Robert Hunt died in Salisbury District Hospital, in October 2018, following a short illness. Robert Hunt was born at Sidcup, Kent, England, on 28th July 1923. His early interest in optics was started by Professor W David Wright while Robert was studying for a BSc in physics at Imperial College, University of London, 1940-43. In 1946 he joined the Research Laboratories of Kodak Limited at Harrow. In 1953 he was awarded a PhD, also by Imperial College and again after studying with David Wright; it was here that his life-long interest in colour science in general and chromatic adaptation in particular started, especially the application to real-world situations including the viewing of photographic prints. Other interests at Kodak included devices for making reflection prints from both negative and positive images on film: he played a major part in the development of the Kodak S1 Printer for printing colour negatives and for which he held several patents. He was finally Assistant Director of Research and took early retirement from Kodak in 1982. Robert Hunt then established himself as an independent colour consultant and his work included visiting Hewlett Packard and 3M, to train their employees in colour science - he also presented several courses at Eastman Kodak! Robert Hunt wrote over a hundred papers on colour vision, colour reproduction, and colour measurement, and two books 'The Reproduction of Colour' now in its sixth edition, and 'Measuring Colour' now in its fourth edition – co-authored with Michael Pointer. Robert Hunt was Chairman of the Colour Group of Great Britain, 1961-63, after playing a leading role in establishing the Group as an independent body after its spilt from the Physical Society. He attended all the early meetings of the International Colour Association (AIC) and was President, 1981-85. Robert was awarded the Newton Medal of the Colour Group (Great Britain), 1974, after presentation of a lecture entitled ‘Sky Blue Pink’ in which he showed that a colour could appear either blue or pink, depending on the colour of the illumination, and hence the chromatic adaptation. This lecture was subsequently published in the first issue of Color Research & Application, a Journal published by Wiley and endorsed by the Colour Group. He had 30 further papers published in that Journal, the most recent in 2012. Robert attended his first meeting of the Commission Internationale de l’Éclairage (CIE) in Stockholm in 1951, and was Chairman of the CIE Colorimetry Committee, 1975-83. The first edition of CIE Publication 15: Colorimetry had been published in 1971 and it was fitting that a revision be made to report on current colorimetric recommendations. Robert Hunt chaired the Committee that produced the 2nd Edition in 1986. It is perhaps fitting that the 4th Edition, CIE 15.4 Colorimetry was announced the day before he died. Robert was always enthusiastic about young people. He had a reputation of sitting in the front row at lectures and, when a student gave a presentation, he always had a positive comment to make before asking a question. Robert’s interests, apart from his work, were travelling to visit interesting places in the world, photography, and railways; but most of all his family. Robert was a man of committed Christian faith and showed great wisdom, kindness and generosity in his commitment to people. He is survived by his wife of 71 years, Eileen, his four children: Pam (my wife), David, Philip and Margaret, his twelve grandchildren, and twelve great-grandchildren. Colour science has lost a great pioneer – he will be missed by us all. experienceCOLOUR is an international exhibition that will be hosted at the Glasshouse in Stourbridge from the 29th August to 14th October. This unique exhibition presents Goethe's research on colour in a series of interactive exhibits which allow the visitor to explore phenomena and experiment with colour. Developed in Switzerland, this exhibition is the first of its kind to be hosted in the UK. experienceCOLOUR is ideal for school trips and offers huge potential for cross curricular learning. The Teachers Conference is a great opportunity for professional development in the science of light and colour and to find out how to get the best out of a school visit to the exhibition. The Organizing Committee of the 13th Argentine Argencolor Color Congress 2018 invites all interested parties to participate in this academic event that will take place from September 18 to 20 at the Faculty of Architecture, Design and Urbanism of the National University of the Litoral. Its main objective is to generate a multidisciplinary space for the dissemination, exchange and debate around color as an object of research, creation and experimentation. Therefore, teachers, researchers, professionals and students, engineers, artists, architects, designers, opticians, archaeologists, biologists, philosophers, sociologists, as well as interested in the field of technology, industry, and culture in general are summoned. they are linked to color, light and vision. The Congress will feature lectures and panels of specialists from the country and abroad, panel discussions, poster presentations and other activities that will deepen the reflection on color by enabling the articulation between institutions and disciplines. There will also be experimental workshops and training seminars aimed especially at students proposed by the different organizing institutions. The organization of Argencolor 2018 is in charge of the Faculty of Architecture, Design and Urbanism of the National University of the Litoral through the Center of Morphological Studies (CEM FADU UNL) and the Argentine Group of Color (GAC). 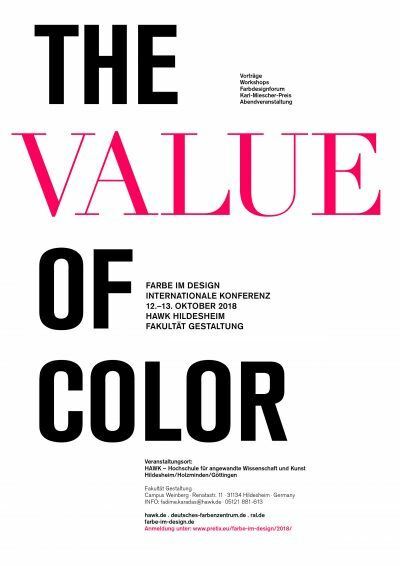 On October 12 and 13, 2018, the HAWK - University of Applied Sciences and Arts, Hildesheim, Holzminden, Göttingen, Faculty of Design at the campus Weinberg in Hildesheim together with the German Color Center (DFZ) organizes an international conference on "Color in Design - The Value of Color ". The gathered fields of knowledge and application present current research and development issues with regard to the use of color in the design. Color is the factor X that gives rooms, products and media their quality and appeal, sometimes their meaning, but often their value. Between pigment and pixel, virtual worlds and artificial intelligence, we shed light on the current and future values ​​of color. The aim of the conference is to promote the encounter and exchange of knowledge and experience in the strategic use of color in the design and sub-disciplines of architecture. Lectures from various scientific, technological and design disciplines, as well as application-practical workshops, the color design forum and the light, color design and spatial laboratory stimulate a deeper discourse on the topic. A joint evening event is the framework program of the conference. Let's play a game, how many colours can you name? The AIC Language of Color Study Group wants you to play a game. The Colour Naming online experiment is designed to collect colour names in multiple languages with their corresponding colour ranges. You will be asked to name a series of colour samples and provide information about your cultural background and viewing conditions. You are free to omit any question and you may withdraw at any time without penalty. Participation in this study is strictly anonymous and voluntary. Many individuals find the tasks of this study enjoyable and we believe there are no known risks to participants. The purpose of this research study is to improve colour communication in multilingual environments. Please feel free to contact the principal investigator Dimitris Mylonasor the supervisors Lindsay MacDonald and Lewis Griffin of University College London if you have any questions. Finding explanations for the observed variation in human languages is the primary goal of linguistics, and promises to shed light on the nature of human cognition. One particularly attractive set of explanations is functional in nature, holding that language universals are grounded in the known properties of human information processing. The idea is that lexicons and grammars of languages have evolved so that language users can communicate using words and sentences that are relatively easy to produce and comprehend. In this talk, I summarize results from an exploration of color words cross linguistically, from an information-processing point of view. First, I show that word lengths are optimized on average according to predictability in context, as would be expected under an information theoretic analysis. 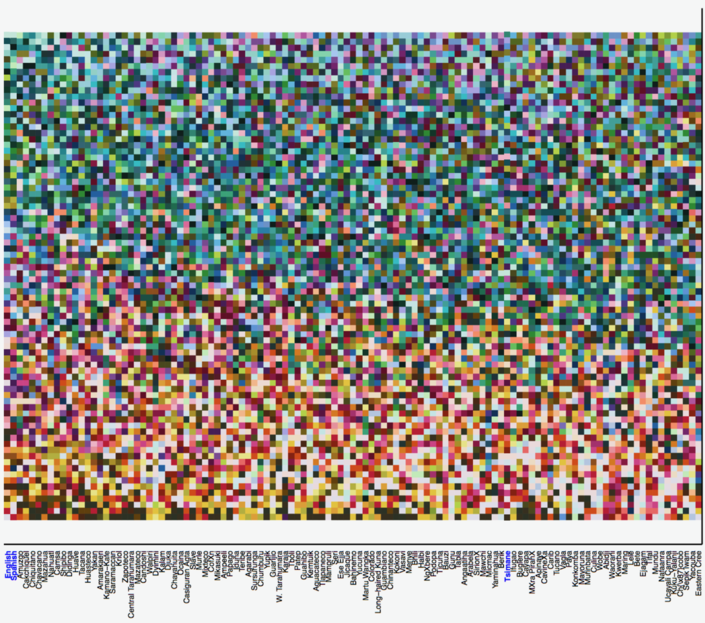 And second, I apply a simple information theory analysis to the language for color. 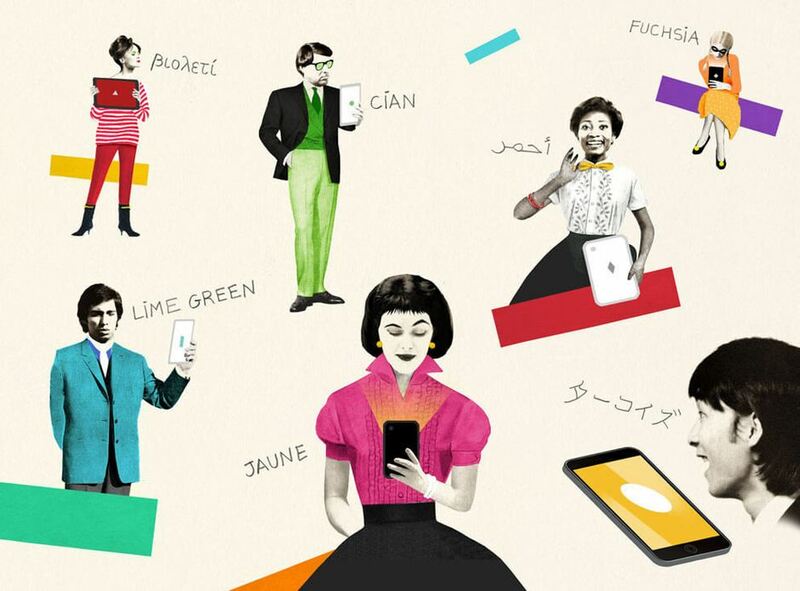 The number of color terms varies drastically across languages. Yet despite these differences, certain terms (e.g., red) are prevalent, which has been attributed to perceptual salience. Our work provides evidence for an alternative hypothesis: The use of color terms depends on communicative needs. Across languages, from the hunter-gatherer Tsimane’ people of the Amazon to students in Boston, warm colors are communicated more efficiently than cool colors. This cross-linguistic pattern reflects the color statistics of the world: Objects (what we talk about) are typically warm-colored, and backgrounds are cool-colored. Communicative needs also explain why the number of color terms varies across languages: Cultures vary in how useful color is. Industrialization, which creates objects distinguishable solely based on color, increases color usefulness. In the latest edition of the JAIC, Volume 21, Brexit Blues: an explanation of how the UK legal systems protect colour and how this may be affected by recent legal and political developments. 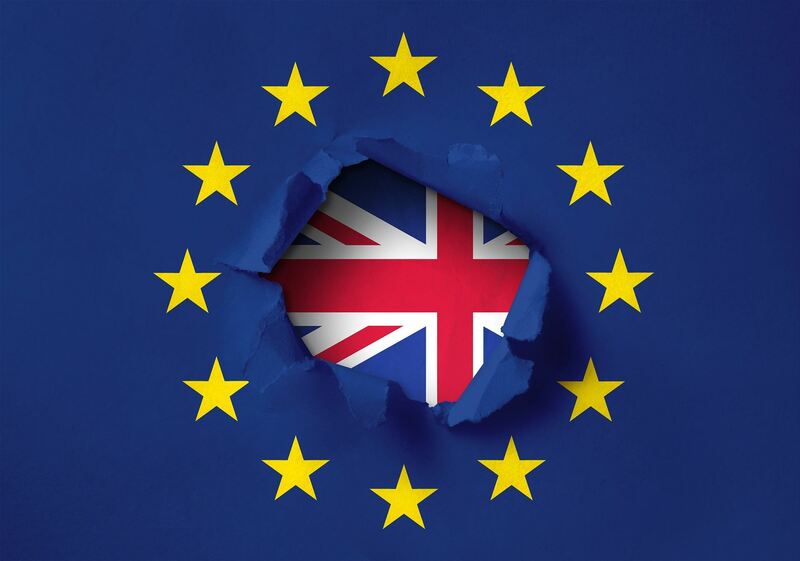 This study is an analysis of the legal mechanisms available in the United Kingdom (UK) to protect colour and the possible implications on these protections of the UK’s decision to leave the European Union (EU). The study explains the unique issues colour presents for the law and explores how the intellectual property system operates to generate rights over colours generally with reference to the colour blue as an illustrative thread running through the study. It has used both literary and web-based resources and contribution from those practicing in the field. Consideration is then given to multiple colour rights and the interrelationship between the various rights in the context of the current political climate.